By-Donation Class: All proceeds to CVTS | Catherine Reid - B.A., R.Y.T. Please join me for this By-Donation Class. 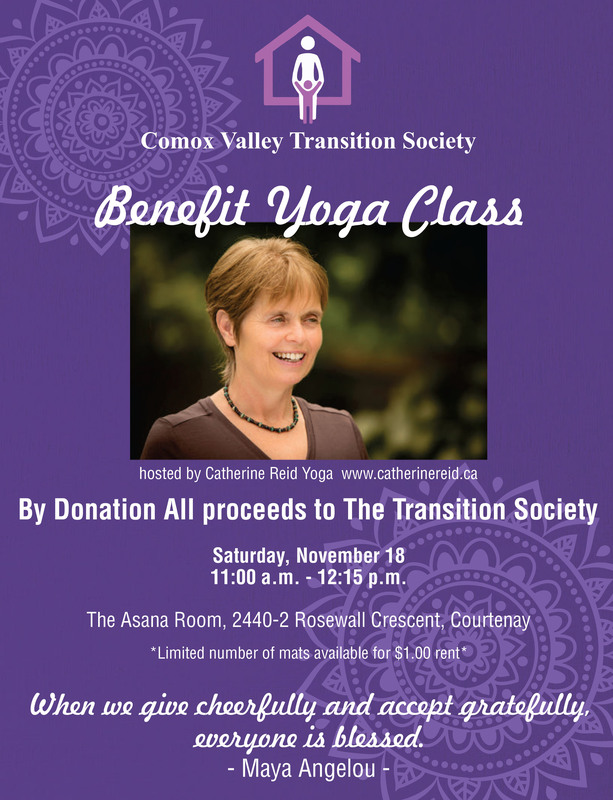 All proceeds will go to The Comox Valley Transition Society. Time: 11:00 a.m. – 12:15 p.m.
*Please give yourself extra time to find street parking. Complete the form to sign up.